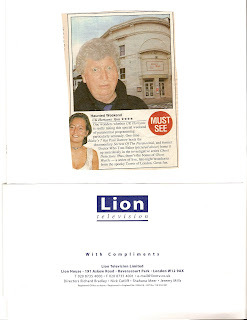 The full Ghost Detectives programme about the Theatre Royal Margate with Tom Baker. This version is taken from my original on-air video recording, although it is now available as part of a DVD set of the series. 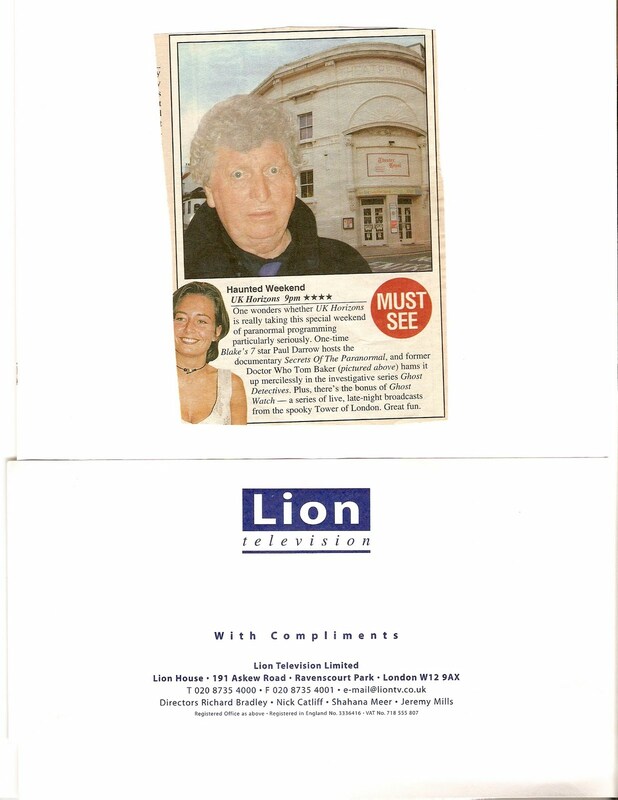 The article below is from the TV listings magazine, plus the comp slip enclosed with the video of the off air version sent to us by the production company.